Holiday photos that aren't exactly typical... or are they? 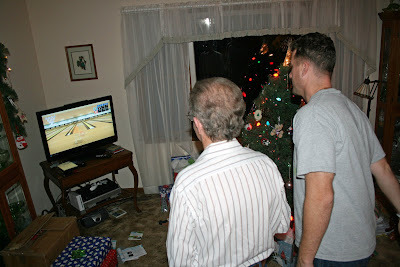 ... we arrived at the Rodney's parents' house Monday before supper. The weather was cold, 17 degrees, but not yet wet or icy - something that would change in less than 12 hours. 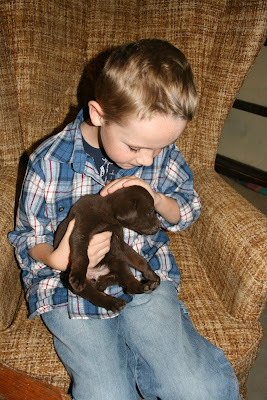 We met the new addition to the family, Jenny, a chocolate lab puppy who needed a little TLC from the Guthries who newly arrived. 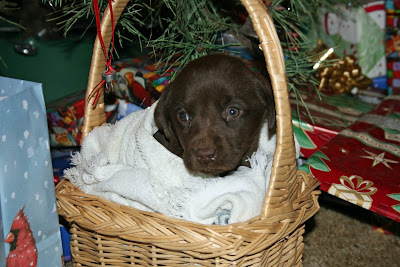 Will trussed her up in a basket. Fortunately, she is very easy going, loves attention and had no problems with being treated like a rag doll. 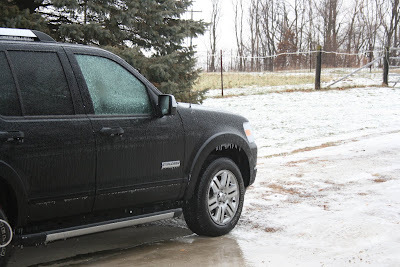 Tuesday the weather turned into icy rain. My car was a bit confused with the severe change in weather from the balmy 75-degree weather we had left in Pensacola two days earlier - it now had icicles dripping from it. Cousin Katie and her son Drew, were already in town from Arizona. We had a great time getting to know Drew, who is a real cutie. 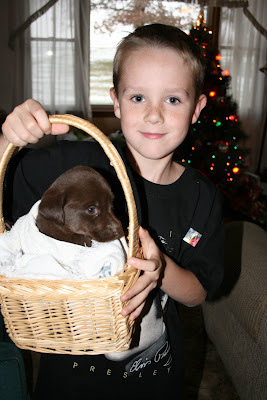 We think he looks like Uncle Jim. 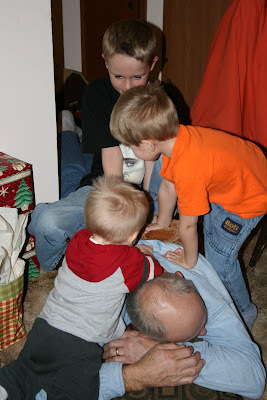 Speaking of Uncle Jim, he was attacked by an unruly group of boys yesterday. I think he has fully recovered by now. 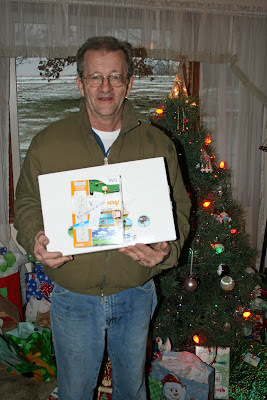 Tuesday evening Grandpa Paul arrive home with a surprise: He had won a Wii game console at work! What a great Christmas gift for everyone! ... we left Pensacola Sunday morning to head toward Illinois for Christmas at my in-laws and made a two-day trip of it, staying at Elvis' Heartbreak Hotel Sunday night and visiting Graceland Sunday afternoon (the coldest day of the year for Memphis - it was 19 degrees!). 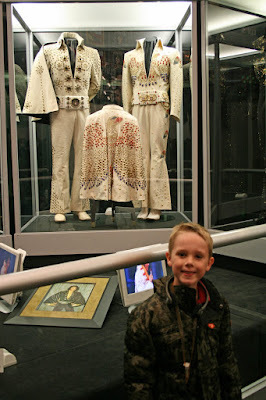 My 6-year-old, Will, is a huge Elvis fan right now, thanks to his Grandpa Paul's influence, even wants to be Elvis for Halloween next year and possibly sing one of his songs in a talent show (if there is one at school or something), so he was pretty excited to see where The King lived. Rodney and I appreciate and like Elvis' music, but can't say we are huge fans. Rodney had been to Graceland years ago, but I had not, having been raised on the West Coast with no real reason to vacation in Tennessee. It's like people who live on the East side of the country never having been to Hollywood or Las Vegas, I guess. I was excited to go. The front of the house. Elvis purchased it in 1957 for $102,050 when he was 22 from a doctor's family, who named it after the matriarch of the family, Grace. Elvis liked the name so well that he kept it. Graceland was all decked out for Christmas while we were there, which was always the case during the holidays in Elvis' day. 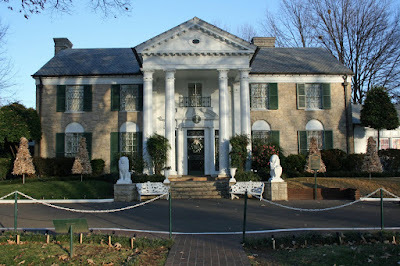 We did drive by Graceland at night and it was lit up beautifully, bright blue lights lining the driveway. 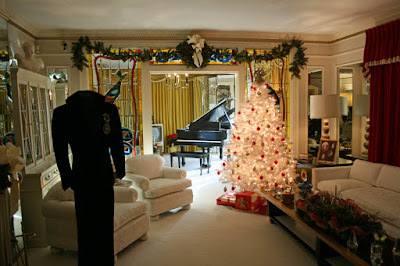 To the immediate right of Graceland's entryway is the living room, decked out with mirrors on both sides, making the room appear larger. These photos are taken of the left, center and right of the room. White flocked paper would get the feel of this room, I think. Maybe some Heidi Swapp mirrors? Red velvet brocade? 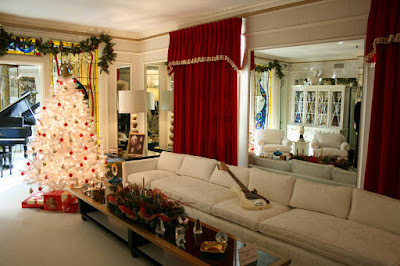 Along the left side of the living room is a short hallway, leading to Elvis' parents' room on the right. His mom, Gladys, only lived about a year at Graceland before her death. His Dad, Vernon, later married and moved out of Graceland. 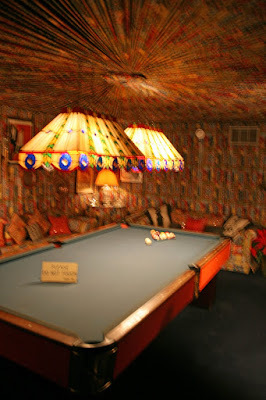 Elvis' grandma, who he nicknamed Dodger, took up residence in this room later. I have some great grape-colored suede-like ribbon that might capture the feel of this room. And, again, maybe some flocked paper, and chandelier crystals. 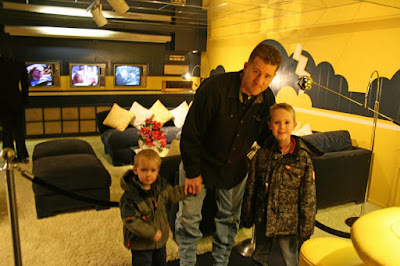 Downstairs in the basement was the TV room (three TV's... 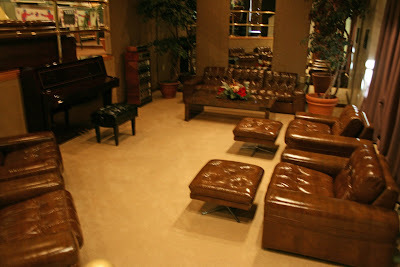 I think there were only three channels back then, LOL) with a great U-shaped couch my husband, Rodney, really liked, with pillows with mirrors sewn into them. I have some ribbon with mirrors sewn in much the same way... I might just have to use it! 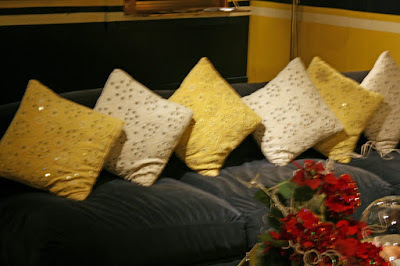 -colored fabric decorating every square inch. My mom has a huge stash of fabric from her quilting hobby. I think I might ask her if she has anything busy like this I can make some gathered embellishments with, or something. Back upstairs, we headed into the infamous Jungle Room. 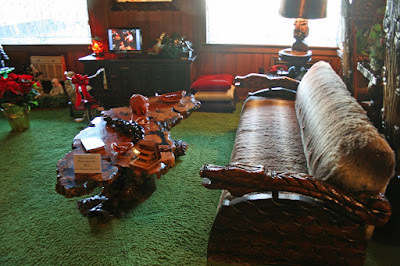 This was truly just a family room until Elvis had it decorated with jungle-themed, yet very 1970's, decor. 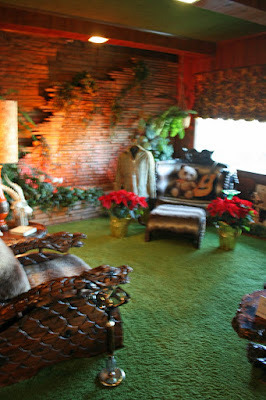 The fake animal fur chairs were a fad and the big round one in the corner with the teddy bear was his daughter, Lisa Marie's, favorite as a child. 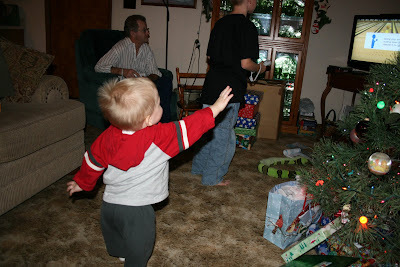 My 2-year-old, Xan saw the tricycle she had been given for Christmas decades ago and declared that he wanted it. This room just screams for some faux fur on its scrapbook page! And maybe some green felt? Across the backyard from the housewas the Racquetball Court. Seriously, if I ever win the lottery, I am building myself one of these... I love racquetball and love the idea of being able to play whenever I want! 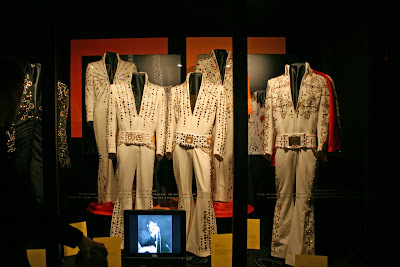 Since no one plays racquetball at Graceland anymore, the curators have set up the racquetball court to house a number of Elvis' jumpsuits, including Will's favorite, the one on the right with the matching cape in the center. 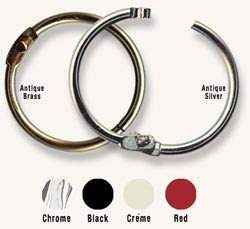 I think I can definitely find some "bling" in my stash to compliment those! 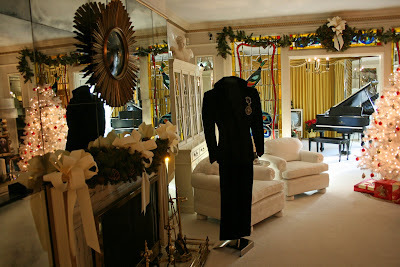 There is a separate display room of Elvis' jumpsuits, called Sincerely Elvis. Dozens of jumpsuits with rivets, jewels, capes, intricate designs, huge belts, are there, none of them the same. Although, he did wear a few of them to more than one performance. I might need to buys some bling for these pages... LOL! "Designing with the Divas" is here! The long-awaited idea book is here! 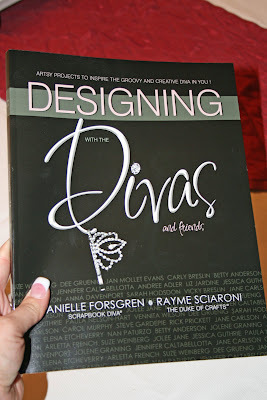 "Designing with the Divas" is packed with dozens of papercrafting projects, including one designed by yours truly. 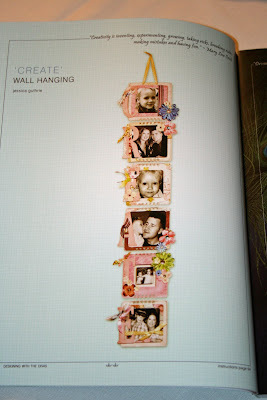 On page 14 is my acrylic wall-hanging "CREATE" which was "CREATE"d nearly a year ago exclusively for this book. 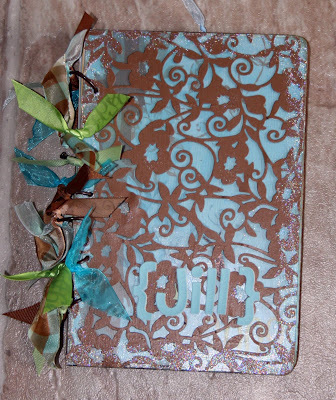 Other projects range from altered purses, ornate gift wrap ideas, mini-books and gift ideas. There is a whole section just with holiday ideas! What I like about this idea book is that the project are extremely diverse, the instructions are complete, step-by-step and include color photos and a shopping list, and the format (the size of the book) is bigger than I had first thought it would be, making it easy to handle and look through. Diva Danielle and Ramie, the Duke of Crafts, hosts of the Diva Craft Show Internet radio program, produced this book with Bluegrass Publishing. You can purchase your copy in the Kits2Remember store for $19.95. This is a calendar/planner for my sister-in-law. For the past few years I have made a planner for each Christmas, and she made sure to tell me it was on her Christmas list. Each year it is a different design. 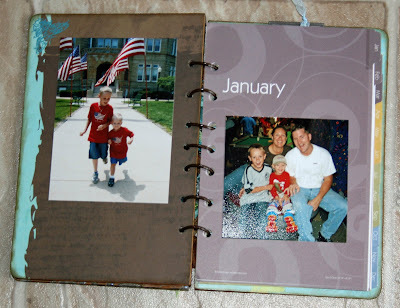 This year I took calendar pages I bought at Target and then added chipboard and acrylic covers. The front cover is a 6 x 9 acrylic panel I took from a K2R Stadium Album and I used matte Mod Podge to adhere lacy cardstock from Sandylion to the front. Inside, I added family photos I thought Jill would like, and a butterfly-shaped transparency. 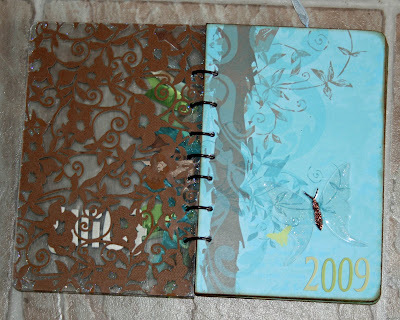 I was liberal with the Stickles on both the butterfly and the acrylic front cover and allowed it to dry overnight. I punched holes in the covers using my Crop-a-dile, matching them up with the holes already punched in the planner pages. I used brown 3/4-inch o-rings so the binding wasn't too loose and added ribbon. Hope she likes it! Then I made two more clocks, on for my mother-in law, and another for my grandmother-in-law. My MiL's features her favorite color, green, and our most recent family photo, taken on the 4th of July this year. Grandma's has pictures of each of her great-grandchildren (with space to add more later!). 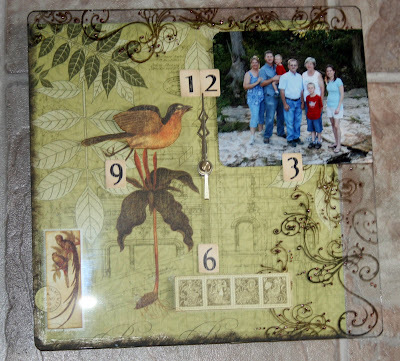 What I love about clocks is that they are useful, timeless and can be custom made for any home, any one, any occasion. New products in the K2R store! Extra Scrapbook Expo Project Kits: I have 4 for the brown "Boys 2 Men" album kits and 19 of the “Good & Girly” album kits left – while supplies last! When we moved from California to Florida, some of the boxes labeled for Christmas also had some scrapbooking supplies. Thanks, movers! So, I have two older kits available again: The “Purple and Sage” 12 x 12 album kit and the “Christmas 2007” 12 x 12 layout with acrylic embellishments. 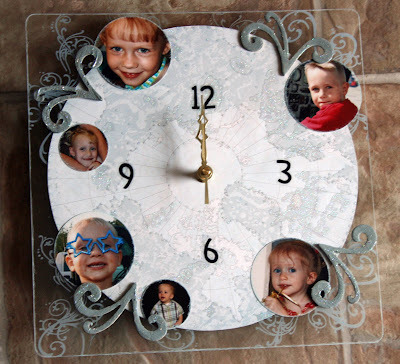 Did you see the custom acrylic and metal clocks earlier on my blog? 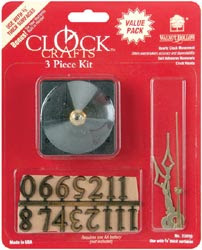 All of the supplies needed to create acrylic or metal clocks are now available in the store as well, including clock mechanisms and pre-punched acrylic and metal panels. 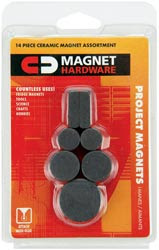 And since I’m on the topic of metal panels, there is a whole new selection of magnets to choose from for those message boards, game boards and more. Try the affordable, high-quality rub-ons from Australian designer Rebekka Erickson. I love the look of these on my acrylic. At $1.25 each, they are a steal and with 19 different themes, you can have nearly every project covered! Acrylic paint dabbers, Stickles and StazOn ink pads have been restocked in the store. Liquid Pearls (have you tried this stuff? Beautiful dimension on acrylic! ), Bazzill Big Chips (perfect for mini albums!). Whew! I probably missed something, so be sure to browse around the store – you might find a hidden treasure! I used alcohol inks and photos of his wife, Gina, and son, Brandon, and hope it will look nice on a wall at work or something. It's tough to create masculine gifts, but with these metal panels, I have found it much easier. Scroll down the blog to see the metal-cover notepad I made, as well. Add that to Jenn's magnetic gameboard (scroll down for that one, too!) 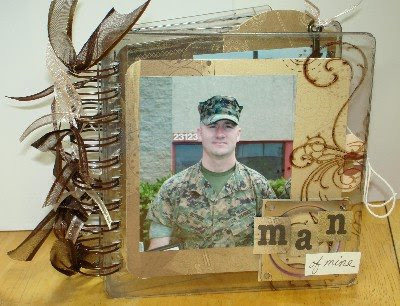 and there are a number of ideas to make it easy to check off the boys and and men on your holiday shopping list by using your papercrafting stash. Have fun! The Krew is giving away another RAK... take a look! 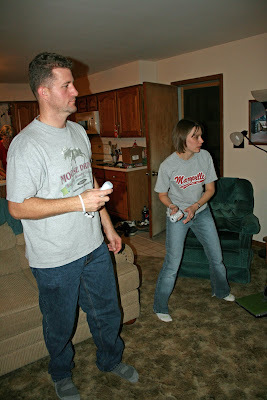 I know I haven't blogged in awhile - sorry about that. I have been busy with the Tampa Scrapbook Expo, family in town (which results in accelerated Christmas planning since we are celebrating Christmas this Saturday) as well as a bout of 24-hour flu that has run through my house (my Dad and I are the only ones who have escaped so far!). I rushed and did errands this morning, took my parents to the beach so they could comb it for shells at lunch and then rushed home to spend the afternoon and evening putting up the Christmas tree and decorations. Whew! But I had a lot of fun decorating my new house. I actually have the space to bring out all my favorite decorations at once! This weekend I visited Tampa for the first time. I really liked the town - especially the restaurants. We stayed with family friends and they took us to the best places. Great food is such a plus after a long day on your feet. The Tampa Expo was as busy as any other for me and it was full of scrapbookers just discovering the possibilities of acrylic, metal, the Crop-a-dile and the Bind-it-All. It was so much fun watching these ladies become inspired and excited in class and at the make and take table. Speaking of the make and take table, I want to give a huge thank you to Lee Ann and Justy, who just rocked the ladies at the table. Thank you for your help! And thank you to our family friend, Caroline, for stepping up to the table in a pinch, and to my Dad, Mark, who knows more about scrapbooking than he ever thought he would. 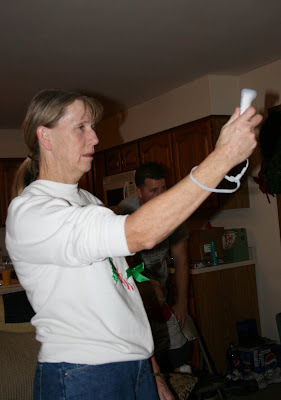 And to my Mom, Nancy, who is a pro with the cash register and can hold her own with product knowledge, even though she prefers quilting over scrapbooking. She even sports her own business cards now, complete with title: On-site Customer Relations Manager. I would post photos but can you believe I forgot to take some? What kind of scrapbooker am I, anyway?! In the coming days I will have some new products online. I will be taking a little bit of time to spend with my family, although I will continue to check emails and process orders. And don't forget to cash in on extra shopping savings by logging on and registering with the Reindeer Roundup! The specials, goodies and giveaways continue through the end of the month! Plus, check out the K2R Design Krew's blog. I have been fortunate enough to see some of their projects in person and I know you won't want to miss their posts on these! Project ideas, Regina's project kit, Reindeer Roundup and more! Happy December, everyone! 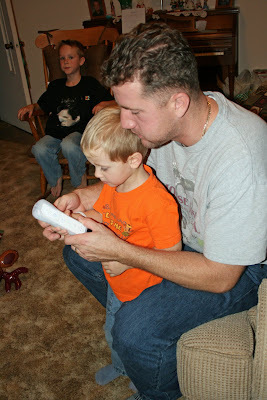 I can't believe we are already in the last month of 2008 and holiday shopping is in full swing! I hope you all had a wonderful Thanksgiving! Want to shop for gift-making materials and have some festive fun while you’re at it? Register for the Reindeer Roundup Online Shop Hop that begins today! Participants will be eligible for special discounts smokin’ deals and giveaways from more than 25 different online stores, including Kits2Remember! 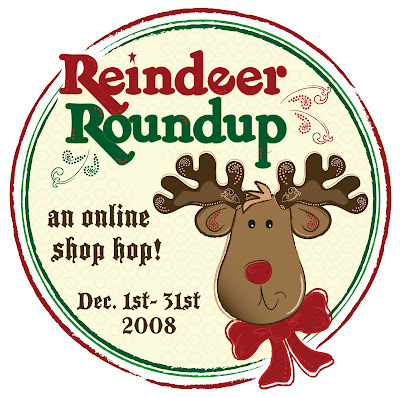 Sign up at www.reindeerroundup.com, then search for the hidden reindeer on each scrappy site. When you find each one, register your email to get access codes for shopping discounts, free make and takes and more. One Reindeer Roundup goodie for participants from K2R: Everyone who orders with the Reindeer Roundup discount code given to you when you find the hidden reindeer will receive a free reindeer-themed acrylic item in their package, along with a code for project ideas as to what you can do with it. Need a hand-made gift idea for the men in your life? How about this 5 x 7 metal-covered notepad? I took K2R metal panels and 5 x 8 pads of paper and the Bind-it-All to create a half-dozen of these for friends and family (hope they're not reading!). 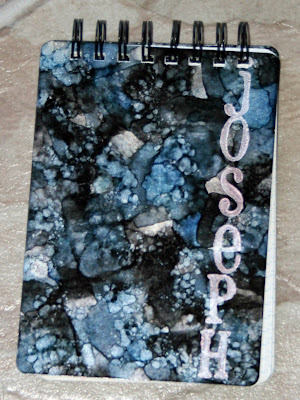 Witht his one, for my brotherm I used alcohol inks for the mosaic pattern and then used silver acrylic paint dabber and foam alpha stamps to stamp his name. I created this in less than half an hour. Note: When you tear the paper from the 5 x 8 pad of paper (standaard at office supply stores and Target, aong other places), it is roughly 5 x 7 in size, to match the covers. I am working on a metal clock right now, so once I get it done, I will post it. Haven't seent he acrylic clocks yet? 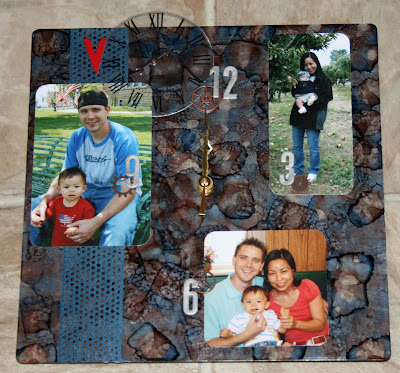 Or the magnetic game board K2R fan Jennifer designed? Scroll down and see! 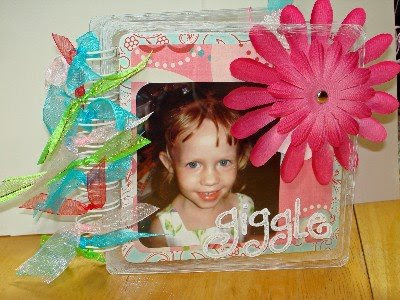 Kits2Remember will have a flurry of ideas on our web site and blogs all through the month of December. We hope to inspire you to take some “Klear” and “Raw” materials and use the scrap stash you already have to create unique, thoughtful and useful gifts for those hard-to-shop-for guys and gals on your holiday gift list. Check out the Design Krew's blog daily for fresh ideas for the Kits2Remember Design Krew – Krew Kit ideas begin this week, followed by more gift ideas. You won’t want to miss the creations these five talented ladies come up with! Still want more? The K2R Project Idea section breaks the ideas into sections so you can gather ideas for specific projects you are working on, from different sized acrylic albums to home décor and more! 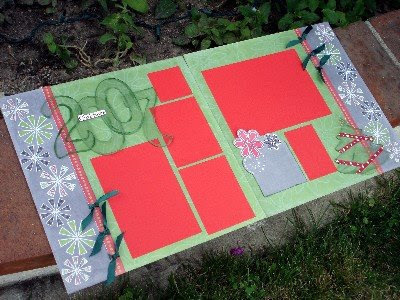 K2R Design Krew member Regina has created a project kit just for you this holiday season. 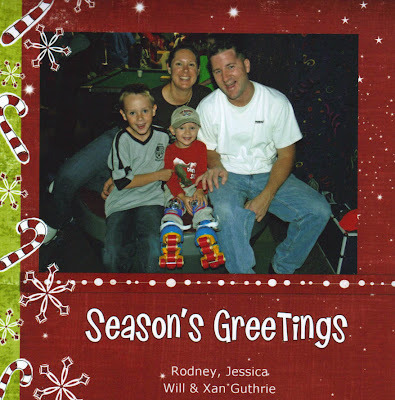 Holiday House is an adorable acrylic house-shaped album is perfect for your photos of being “home for the holidays.” And its reasonable priced at $15.00. You can see more at this link. We are also gearing up for the Tampa, FL, Scrapbook Expo at the Tampa Convention Center this weekend. We hope to see some of you out there … be sure to stop by the booth and say “hi!” Plus, we could still use another person or two on both days of the Expo as volunteers. If you are interested, email me at jessica@kits2remember.com. Thank you all for your patronage and support!